The folks from MCV are at CES showing off their Dyle mobile TV service running on an unannounced Samsung phone for MetroPCS. We checked it out and learned a few things about how Dyle will work and what content will be available. Dyle is the brand name for the new mobile TV service from the Mobile Content Venture (MCV), which is a joint venture of 16 broadcast TV groups, including content companies and local station owners. The big names you'll recognize are NBC and Fox. Mobile TV has been kicked around for years, but never really taken off in these parts. But with big names like NBC and Fox behind it, and a nice price - free - this might stand a chance. 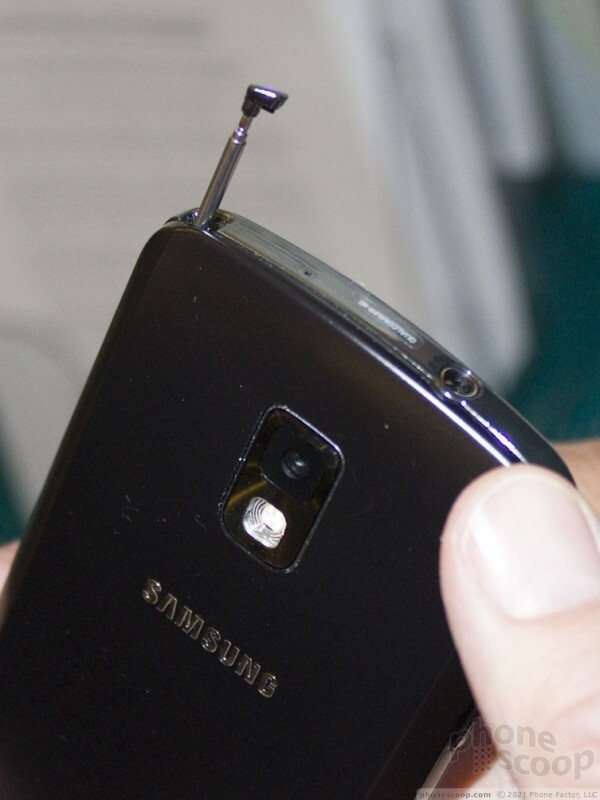 Dyle phones use ATSC-M/H technology. ATSC-M/H is based on the ATSC standard, otherwise known as over-the-air broadcast HDTV. 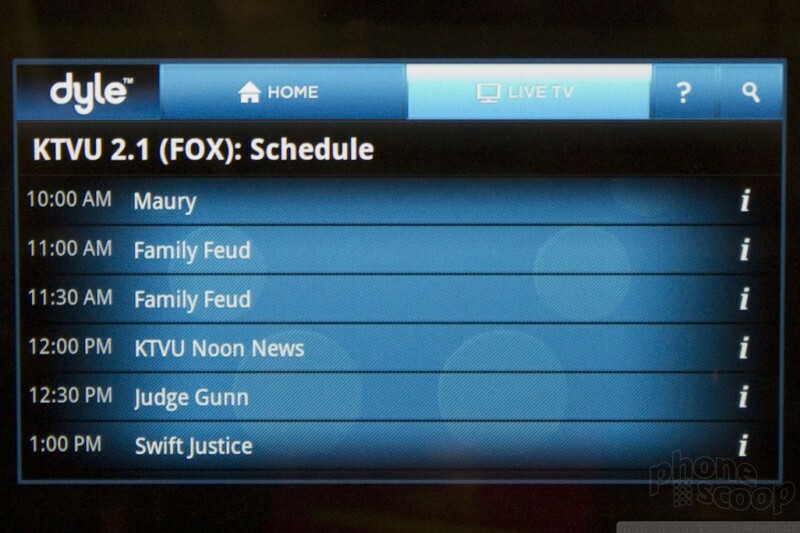 The same TV stations will broadcast the same content from the same antenna towers that serve your home. In other words, this isn't streaming video on your phone. It doesn't use any cell phone network at all. It's real network TV being broadcast literally right from the station to your phone. 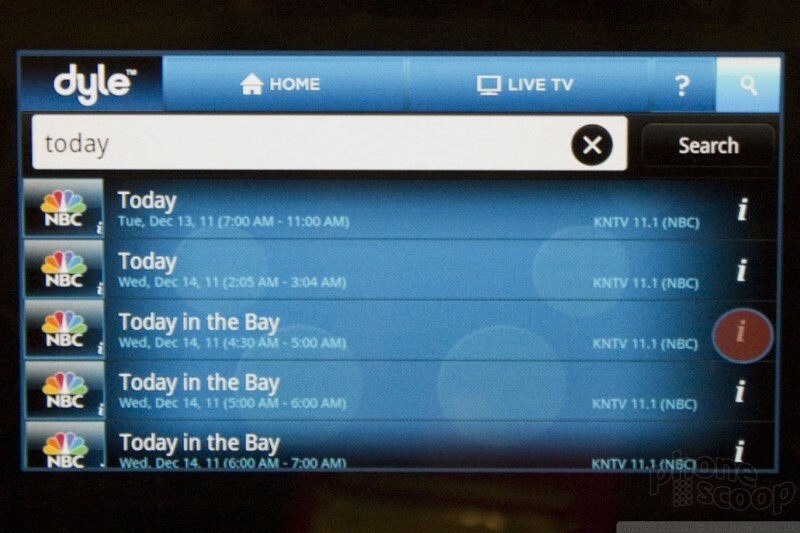 That makes it perfect for network TV shows as well as local news and sports. The only difference between ATSC and ATSC-M/H is that ATSC-M/H is designed to handle receivers in motion, something ordinary ATSC can't do. Since it's a little different, each local TV station will need to install new equipment to broadcast this new signal. But once your local TV station is sending out the signal, you can receive it with any Dyle-equipped phone. For. Free. Well, that's how it will work in 2012, anyway. After that, MCV makes no promises. They hope it will stay free and be advertiser-supported, but again, no promises. They also wouldn't address the issue of sports blackouts. They stressed that they are striving for a 100% simulcast, meaning absolutely no differences between the mobile and home content, including sports, but... no promises. Another catch: no ABC and no CBS. At least not yet (they're in talks.) And this is network TV only; no cable channels. But hey, it's free. The Dyle interface on the phone is slightly more than just a tuner. You have access to a searchable channel guide that includes upcoming programs. The MCV reps wouldn't let us touch the prototype Samsung phone, although they admitted that it was "pretty darn close" to the final phone that MetroPCS will launch this year. It looks just like a Droid Charge, but with a giant retractable antenna quite suitable for impromptu fencing. Unfortunately, that's about all we can tell you about the phone for now. Dyle is expected to launch "sometime in 2012"; they won't be more specific. Whenever it does launch, expect to see 33 markets, with at least two channels per market, for 70 total stations. If you do the math, that's a few Telemundo and Univision stations thrown in there, but probably 90% NBC and Fox. The Lightray is the first handset offered by MetroPCS to include Dyle TV — live broadcast television from major networks. 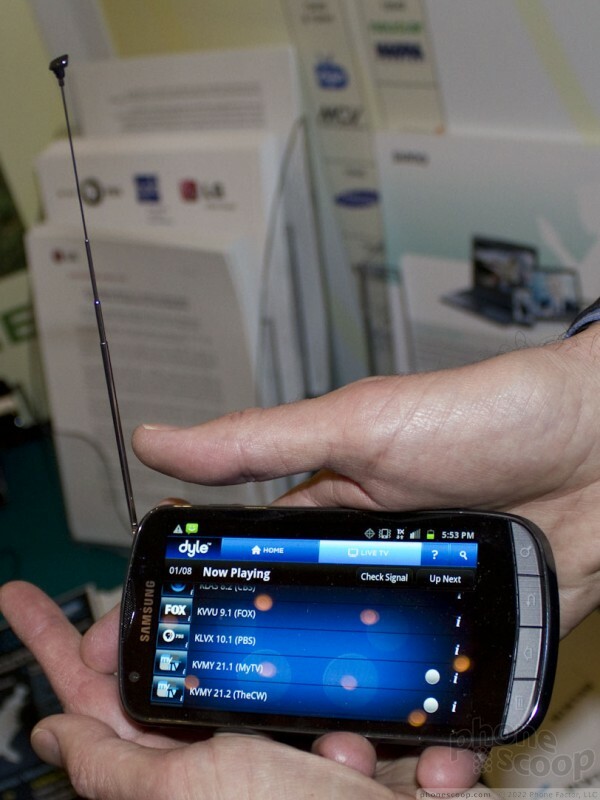 Mobile TV has been offered on handsets before. 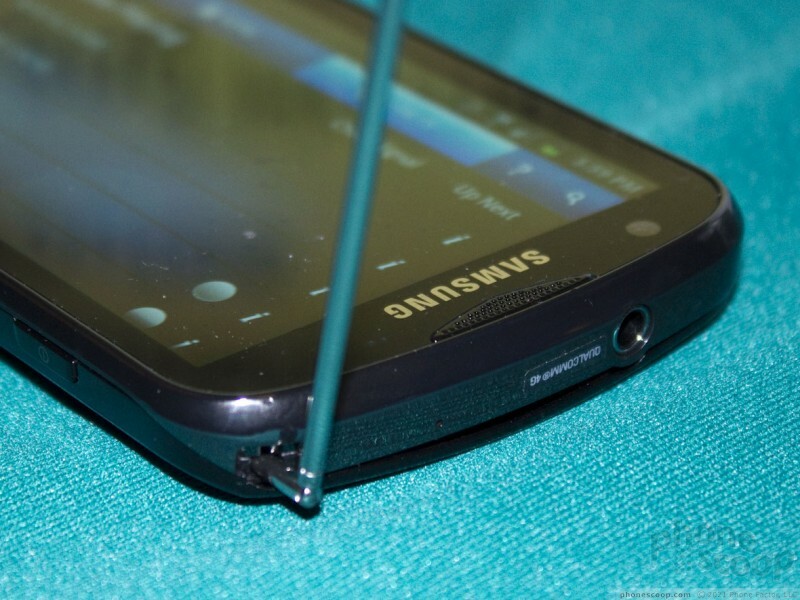 MetroPCS today made an official announcement regarding the availability of the Samsung Galaxy S Lightray 4G. The Lightray, which was uncovered earlier this week, is an Android 2.3 Gingerbread smartphone that offers access to the Dyle mobile TV service. Phone Scoop has confirmed that MetroPCS is prepping to offer the Samsung Galaxy S Lightray 4G with Dyle mobile local broadcast TV. 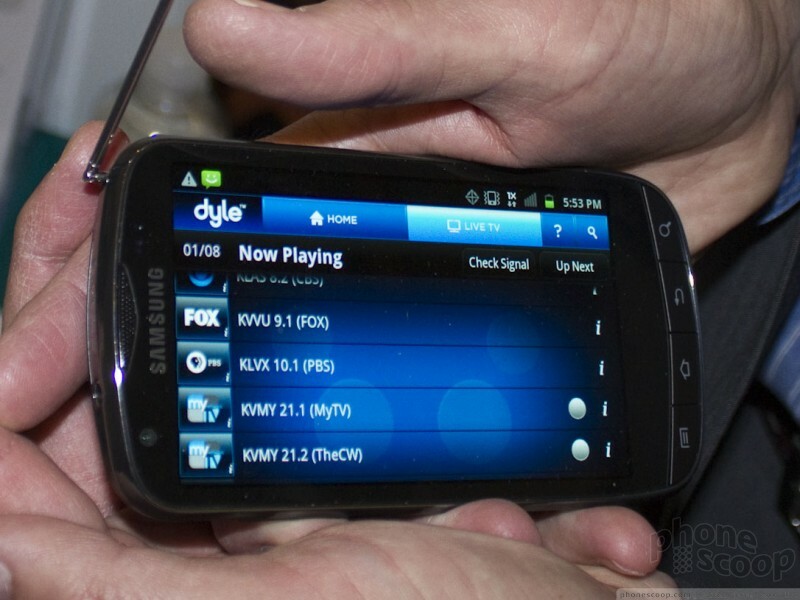 Dyle is working with local affiliates of major networks to offer local network TV on phones. 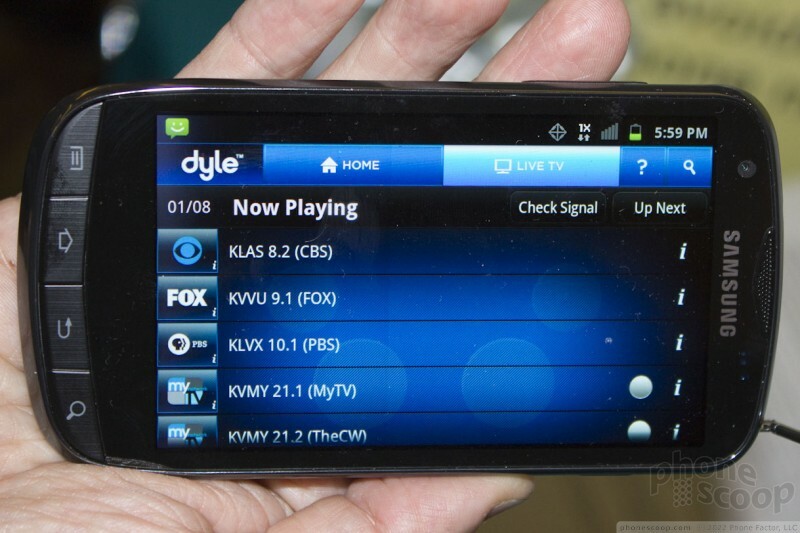 Dyle mobile TV is now available in three more markets, improving its total reach to 57% of Americans. According to Dyle, customers in Baltimore, Jacksonville, and Salt Lake City now have access to its mobile TV service, which offers 116 stations across 39 markets. 1. Didnt Qualcomm try something like this with MediaFlo? 2. Dyle is a poor name, and it uses the font from SyFy TV, which is likely to have issues later if it gets bigger. 3. If this technology is marketed to consumers left and right with an abundance of TV networks, manufactures, and devices on the market - there will be no need to charge for it. One reason is its not currently legal to charge for OTA television in any form, HDTV included. Advertising pays for that. 4. Charge a slight markup on the devices, $5-$10, and use part of that to fund networks adding ATSC-M/H to their local transmitters. I'm very excited about this!!! 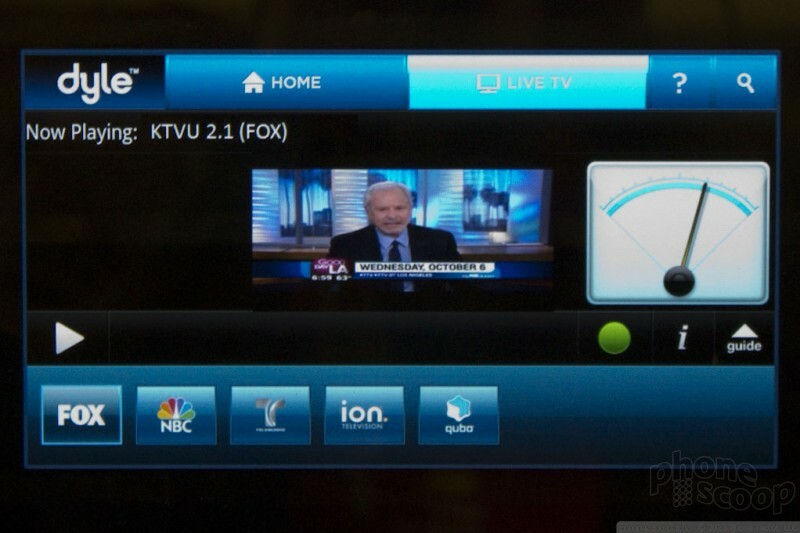 It's about time this mobile DTV standard takes off. I will be making this a requirement for my next smartphone, this, and NFC!! !Bring on the future!!!! #3 and #4 sound like reasons it should/could work.